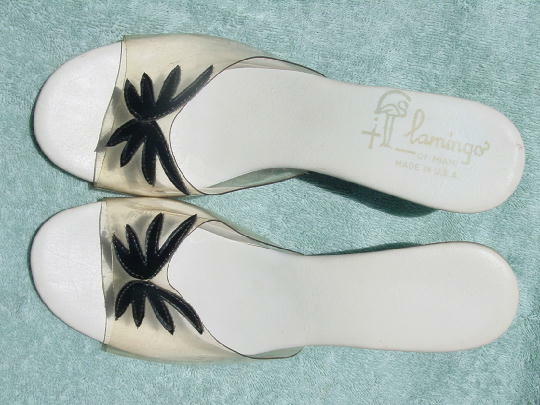 These vintage slides were made in the USA by Flamingo of Miami. 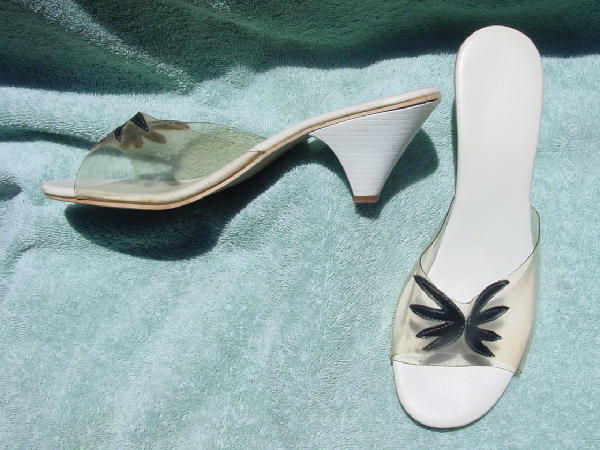 They have offwhite faux leather insoles, white faux stacked heels, and a clear (slightly amber tinted) vinyl wide strap across the front. Sewn on each vamp area are two black faux leather palm leaves. 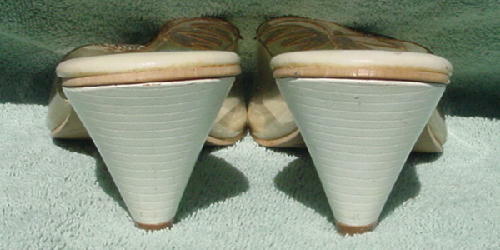 Both heels have some light scuff marks and so does the vinyl. They're from a former Hollywood actress who used to vacation at the Fontainebleau in Miami. They haven't been worn in quite a few years.